"Authenticity is the core of this musical brotherhood... the Midtown Men sound as crisp as their Rat Pack-inspired suits!" "... as good as popping Meet the Beatles on my turntable for the first time!" 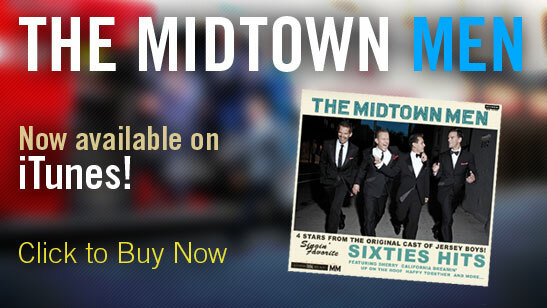 THE MIDTOWN MEN: The high-octane musical tour de force, celebrating the best of the ‘60s.